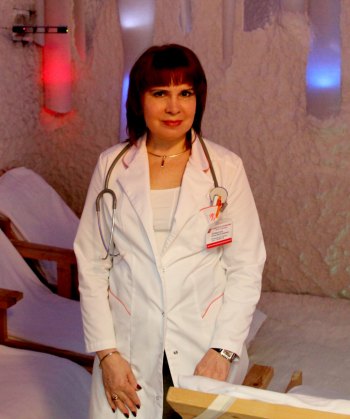 Halotherapy 101 | Prof. Alina V. Chervinskaya, M.D., Ph.D.
Halotherapy is a non-drug treatment method, based on the use of artificially reproduced microclimate, which parameters are close to the conditions of underground salt speleo-hospitals. In the mid-80s in Russia (Leningrad, now St. Petersburg), the method of indoor-reproduction of salt caves’ microclimate was named “halotherapy” (from the original Greek word “halite” or “rock salt”). Long-term experience in development and indoor-application of the microclimate of salt environment lead to further improvement and further development of halotherapy method and the equipment used for its implementation. Today’s standard is the method of controlled halotherapy. Controlled Halotherapy implies a treatment in the controlled respiratory environment of dry sodium chloride aerosol, ensuring a differentiated dosing and control over aerosol level during the treatment procedure. Halotherapy: halotherapy, controlled halotherapy, HT, salt therapy. Dry sodium chloride aerosol: dry salt aerosol, dry NaCl aerosol, DSA, DSCA, halo-aerosol, haloaerosol. Salt room: salt room, controlled salt room, salt-chamber, indoor salt cave, halo-chamber, halo-complex. Halogenerator: dry salt aerosol generator, natural salt aerosol generator, aerosol salt generator.